Observed at Sego Safari Lodge, upper Kerio Valley, Kenya. December 2014. 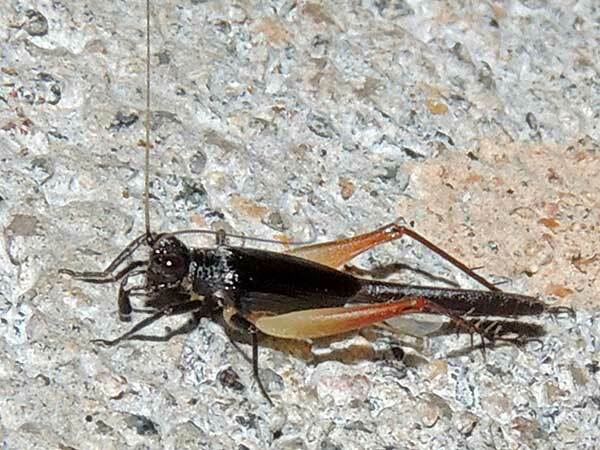 This odd-looking cricket was found at night and is presumably nocturnal as are most cricket speciess. It is a female as evidenced by the long ovipositor from the posterior of the abdomen. The common name also arrises from this structure. Copyright Michael J. Plagens, page created 5 Oct. 2015.